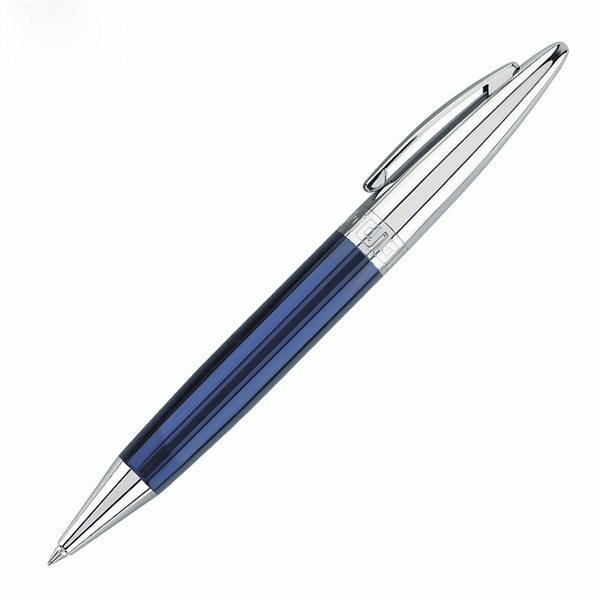 Solid brass with blue translucent lacquer finish and polished chrome cap and points. We really like it. these are great and the price is right. Will buy again. AnyPromo is truly lucky to have Rosa as an employee, who was always professional and handled all our firm's worries EXPEDITIOUSLY and PROMPTLY!!!!!!! Very reliable, plus they really write the very first time they are being used! These will be free gifts for Christmas. Most - Quality of the material. Even better compared to picture. My sales rep assured me not to worry that they would make sure our logo was done pleasantly. I was very content with my merchandise.